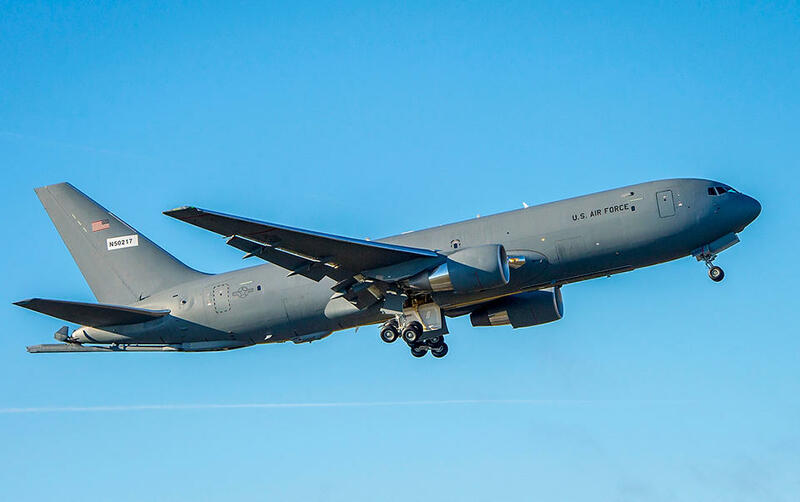 McConnell is one of three air force bases that will get the KC-46 Pegasus tankers made by Boeing. The base is creating standards for personnel and formal training that will be used across the tanker program. McConnell spokesman Daniel de La Fe says all maintenance personnel assigned to the KC-46 will be coming to McConnell to receive their training certifications. "About 100 active-duty Air Force reserve and Air National Guard personnel will be rotating through McConnell annually," de La Fe says. He says that number is expected to grow over the years as new personnel are needed. McConnell is expected to receive 18 tankers in the next six months. The base will eventually be home to 36 tankers in the next few years. Right now, there's a push to hire more pilots. "The 931st Air Refueling Wing is our reserve counterpart at McConnell, and they will be hiring 400 new pilots to support the KC-46 mission," de La Fe says. About one third of the positions are full-time; the rest will be part-time. The KC-46 is a military version of the 767 commercial plane that can carry passengers, cargo and patients in addition to refueling capabilities. The U.S. Air Force is expected to receive 179 tankers in all to replace the oldest of its KC-135 Stratotanker fleet. Bases in Oklahoma and New Hampshire will also be receiving the KC-46 tankers. McConnell built three new hangars and completed other construction projects worth about $267 million to prepare for the new tankers.